We here it all the time but aren’t too sure what exactly goes on in a real estate transaction. Especially if you’re shopping for your first home, you’ll definitely want to at least have a basic idea of what the process entails. It can be pretty lengthy, depending on how set you and the seller are in your ways. Check out the following steps when closing a real estate transaction to avoid getting stuck with an unfair deal. But here you can get a basic idea of what to expect during the real estate closing process, starting with your offer until after you walk away with the keys. The definition of escrow is an account held by a third party on behalf of two main parties held in a transaction. As you may already be aware, there are lot of details involved in a real estate transaction, and the best way to prevent the deal from becoming unfair on either ends is to have a third party have the money and documents stored until everything is settled. A title search and title insurance ensure that when you buy a property, nobody else can try to claim it as theirs in the future. The thief could be a revengeful relative that was not included in a will or a tax collector that was never paid. In this phase, a title office will conduct a title search to make sure that the title is available. If there are any third parties claiming ownership, these issues will be resolved before the ownership of the property is transferred. It’s highly recommended to work with a real estate attorney in order to get a professional, legal opinion on your closing documents. It’s not common for homeowners to understand each details within them, but an attorney will know exactly what to look for and inform you of any potential problems you may face. It’s not required to close a deal, but getting pre-approved for a mortgage can help you to close it faster, as it shows that you are financially fit to own the property. This can also give you additional bargaining power as well as being offered a rate lock from specific vendors, meaning securing your interest rate for the loan. While the escrow (the party holding the papers and money) doesn’t provide their service for free, some even charge ridiculous fees to take advantage of consumer’s ignorance. What some consider a junk fee is debatable, but you should look in the details for appraisal review fees, email fees, processing fees, settlement fees, administrative fees, or application review fees. If you’re willing to put up a fight, you might be able to get some of them waived or reduced. Just keep in mind that legitimate fees can also be inflated. A home inspection is not always needed, but it’s definitely a good idea to ask for one. At any time you find a problem during the inspection, you have the opportunity to back out of the deal. It’s up to them to either fix it themselves, pay someone to have it fixed, or reimburse you for having it fixed. A pest inspection is not covered during the home inspection. You’ll want to make sure that a professional examines each part of the home to ensure that there isn’t a problem. Even a small infestation of termites or ants can lead to a disaster in the future. Termites can be removed, but make sure it’s done at a reasonable cost before completing the purchase of the home. In fact, if you were already pre-approved for a mortgage, the mortgage company will require that the problem be fixed before you close the deal. Even if the seller has already accepted your offer, it’s a good idea to consider renegotiating if the inspector finds any problems. This way, a lower cost of the house can cover the cost of repairs you will need to make. Or, you can keep the purchase price but require that the repairs must be paid for by the seller. But if the contract already states that you will be buying the property “as is,” there’s not much power you will have in this situation. Just keep in mind that you still hold the power to back out without any penalty if the inspector did find a major problem with the property and the seller won’t fix it. At this point in the process, you’ll want to make sure that you have a locked interest rate. A trusted lender will watch rates carefully and inform you when is the best time to lock in so you can get a good deal. Otherwise, you can watch interest yourself online by using your lender’s website or a third party’s mortgage calculator. It’s important to note that interest rates are almost always unpredictable and change all the time, sometimes several times a day. It can be easy to go insane about locking in the lowest rate, but you shouldn’t hold it against yourself if you found a lower rate the second you locked in. These rates can also vary according to your credit score, geographic location, and type of loan you get, so what you find posted online may not be the exact rate you get. The contingencies should be figured out and stated in writing by the date specified in your offer. But some purchase agreements have contingencies that have constructive approval, meaning they are protested by the specified deadlines. It’s common to make an earnest money deposit when signing a purchase agreement, letting the seller that you are serious about your intentions to buy the property. Because the seller will be taking the property off of the market, they will be getting the earnest money if you back out at this point. But if they back out, then the earnest money will be returned to you. To complete the purchase of the property, additional funds will need to be deposited into escrow. The original earnest money is applied towards the down payment and the rest as well as the closing costs will be due at the time of purchase. Before reviewing the documents, you’ll want to walk through the property one last time and make sure it is in the exact condition as when you last saw it. If any damage has occurred between now and the inspection or if anything is missing, it should be reported right away. It may extend the deal, but at least you won’t be suffering in the end. 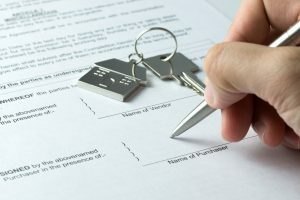 The last but certainly not least important step is to review and sign the closing documents – after they have been reviewed by your real estate attorney. Around 100 pages is common, so there is no need to rush through it. You may feel some pressure from the seller, mortgage lender, or notary to get it done, but reading each and every detail is crucial because it will be affecting your finances and life for a long time. Pay attention to the interest rate, ensuring that it is correct and there is no prepayment penalty. Also compare the closing costs to the estimate you were previously given and report any fees that are 10% over the estimate. The closing a process of a real estate transaction can seem long and is indeed a lot of work. But in the end you’ll find that your patience and persistence will pay off. It may be a while before the seller or third parties agree to your offers, so you’ll want to stay busy while they work on their part of the deal. Also remember that it’s important to feel confident that you have done your research and have given a fair offer, otherwise, the closing process can take even longer. 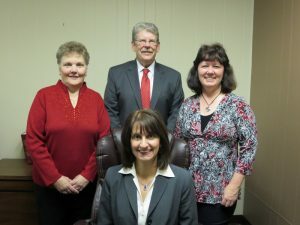 Our attorneys have years of experience in negotiating during a number of real estate transaction. We will ensure that you get your dream home at the price you want to pay. Our professionals are knowledgeable in a number of areas and have worked with diverse cases, negotiating to provide an effective solution for each client. If you have any questions regarding the closing process of a real estate transaction, you can give the real estate attorneys at Berry K. Tucker & Associates, Ltd. a call at (708) 425-9530.